Home Page > FAQ > What is GSM? You may have noticed that envelopes are supplied in a range of different GSM. This is also true of paper and card, but what does this mean? 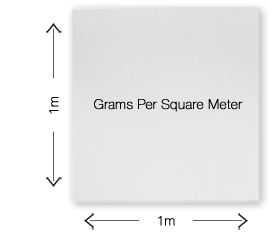 GSM stands for 'Grams Per Square Meter' and means the amount of grams a single sheet of paper weighs measuring 1m x 1m. Paper that is used to manufacture envelopes generally start at thin 70gsm all the way to up to a much thicker 180gsm paper. A lower gsm paper, such as 30 - 60gsm, would be used for something like newspapers but is much too thin to enclose anything without it becoming torn. Higher GSM envelopes such as 130gsm are much thicker and higher quality which makes them popular for use as wedding invitations. You can see the table below which shows the GSM and common uses. 70 - 90gsm Business Envelopes to enclose letters, thin documents. These envelopes are generally cheap. 90gsm - 100gsm Average envelope that is used to send through the postal system. 110 - 130gsm Premium envelope that are popular as use for wedding invitations or greetings cards envelopes. 140 - 180gsm Thick envelopes that are very sturdy and protect it's contents. An envelope is the first thing that you see and can help improve deliverability, increase open rates, promote offers and communicate a positive brand image. Simply by using a coloured envelope over a plain white envelope can increase open rates by nine times! You can communicate a positive brand image further by having your brand printed onto an envelope of your choice!